If you're looking for a beauty publicist who's knowledgeable, interesting and just downright easy to work with, you need look no further than Samara Finn. Samara is the Senior Vice President at Marina Maher Communications, where she works on fun beauty brands including Herbal Essences and Venus. I've worked with Samara for years, and I can honestly say it's a true pleasure every time I get to email with her or see her at an event. Plus, I absolutely love following her on Twitter! (You can do so here.) Read on to find out how she got her start in beauty, what shampoo she can't live without and so much more. I grew up on Long Island and went to school at Fordham University at Lincoln Center, where I studied Communications/Media Management and had a minor in Business. Even back in college I was obsessed with media and pop culture. In addition to interning at ABC, I used to spend a lot of my free time getting standby tickets to sit in the audience of television shows that taped in NYC. It was my interest in media and pop culture that convinced me to pursue public relations as a career. I am currently a Senior Vice President at Marina Maher Communications (MMC), in its Creative Catalyst Group, a team of media and creative experts who develop strategic campaigns to engage media, influencers and consumers. I lead a team that is 100 percent dedicated to working with online editors and influencers. We’ve always put a tremendous emphasis on the power of influential content creators online and it’s been rewarding to grow and evolve with the changing media landscape and advancements in technology. When I graduated and got my first job in public relations, I was actually working on food and consumer clients at a smaller agency. About a year after I started, the company decided to shut its doors and I was back on the market searching for another position in the industry. I started at MMC in the summer of 2004. Time really flies when you’re having fun! 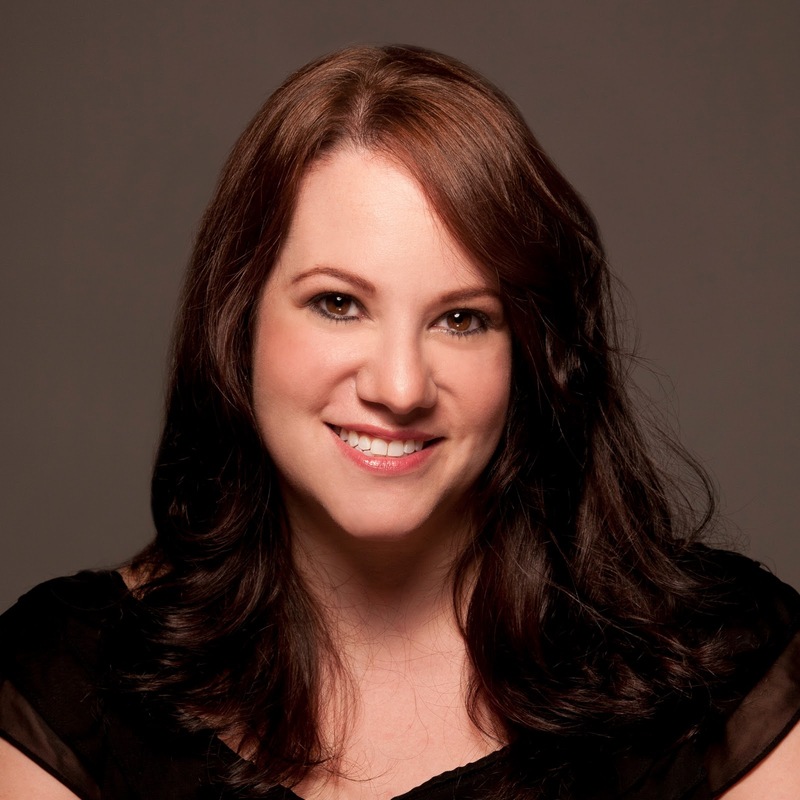 My first clients at MMC were oral care brands, which crossed over between health and beauty. That’s when my interest in the beauty industry officially started. About a year or so later I moved onto our media team at the agency and had the opportunity to work on all MMC clients including our P&G Beauty brands (including COVERGIRL, Clairol and Venus). This was around 2005/2006, when social media was just beginning to really take off. After the boom of technology sites, I noticed one of the next big growth areas was beauty. As online beauty publishing evolved, I was fortunate enough to carve out a role focused on working with online influencers and building relationships with top-tier beauty experts on behalf of my clients. Through all of this I learned I was really passionate about beauty. My favorite part of my job is that I have the opportunity to work across all of our clients in beauty, health and food. Every day is different and I love having the opportunity to work on so many award-winning programs and different product categories including makeup, hair and skin. One of the reasons I have been at MMC for almost 9 years (wow, that’s long!) is because the work is always different and always exciting. I never get bored! I also love educating and mentoring those around me. Those moments are always my favorite part of the day. A highlight of my career was a few years ago when I was given the opportunity to move to Los Angeles for a few months to work more closely with the beauty experts and online media on the West coast. I worked remotely on East Coast hours and spent my afternoons meeting with many of the influencers I worked with and never had the chance to meet in person. The online space (and PR in general) is all about relationships, and having the chance to spend 1-on-1 time with such great women on the West Coast was not only valuable, but enjoyable. After years of advocating for influencers and online media, a more recent highlight was being recognized by PR News as the 2012 Digital Communicator of the Year. I care so much about the people I work with and the programming we launch that it was very exciting to receive that award. Clairol Natural Instincts Haircolor. It’s definitely not a secret that I color my hair. Everyone who knows me well knows my shade is Toasted Almond (the same shade as spokesperson Giada de Laurentiis when she first started working with the brand). CoverGirl Lip Perfection Lipstick. My go-to shade is Coquette. Herbal Essences Hydralicious Self-Targeting Shampoo and Conditioner. I love the packaging and the scent! 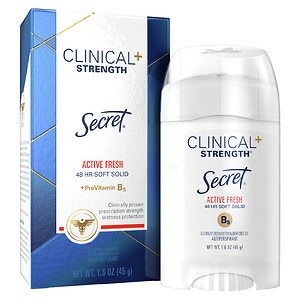 Secret Clinical Strength Antiperspirant & Deodorant Advanced Solid. Hands down, this product delivers! This is another product that has a great scent. Gillette Venus & Olay Razor. My favorite thing about this razor is you don’t need to use shaving cream and you still get the smoothest shave ever. Social media is part of my professional life, but it’s also a personal passion of mine. I spend a lot of time reading, researching and shopping online. I also love sports! Through Zog Sports (social sports leagues), I play softball, hockey and even joined a bowling team! In the summer I spend a lot of time out on Long Island at the beach where my parents live. Floating on a tube around the Long Island Sound is one of my favorite things to do to relax and decompress when I have the chance to escape from the hustle and bustle of the city. I also love to bake -- cupcakes, brownies, cookies, cakes -- you name it! And when I can, I try to volunteer at certain events every year, such as the Catholic Charities Holiday Shopping Day and Arthur Ashe Kids Day. I agree whole heartedly on the Herbal Essences Shampoo/Conditioner. It smells so good and as a graphic designer I have to say the packaging is awesome.